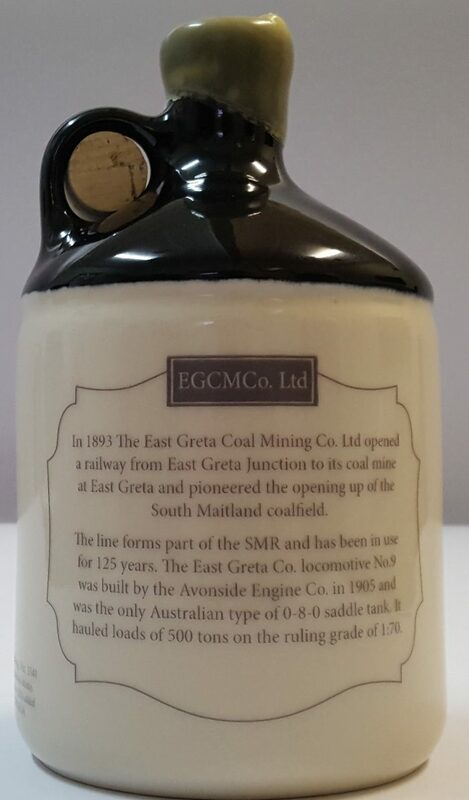 Handcrafted in Victoria by Bendigo Pottery to celebrate the 125th Anniversary of The East Greta Coal Mining Co. (SMR’s predecessor). 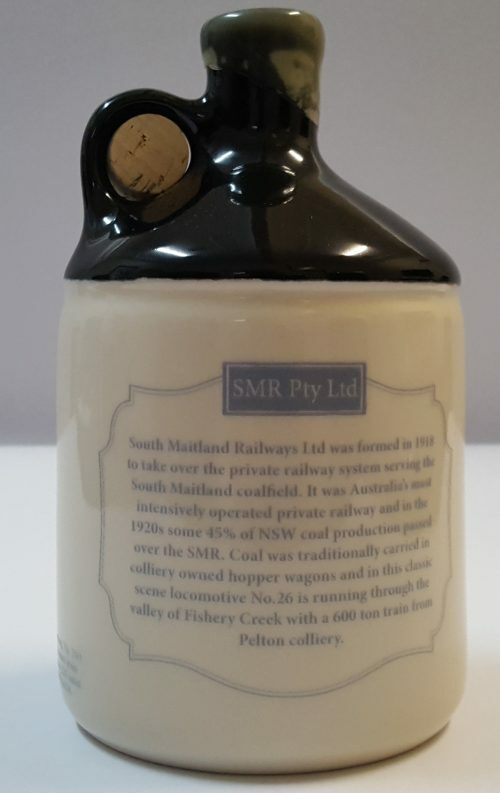 Each port crock is individually numbered (limited to 100) and is filled with Australian Tawny Port. 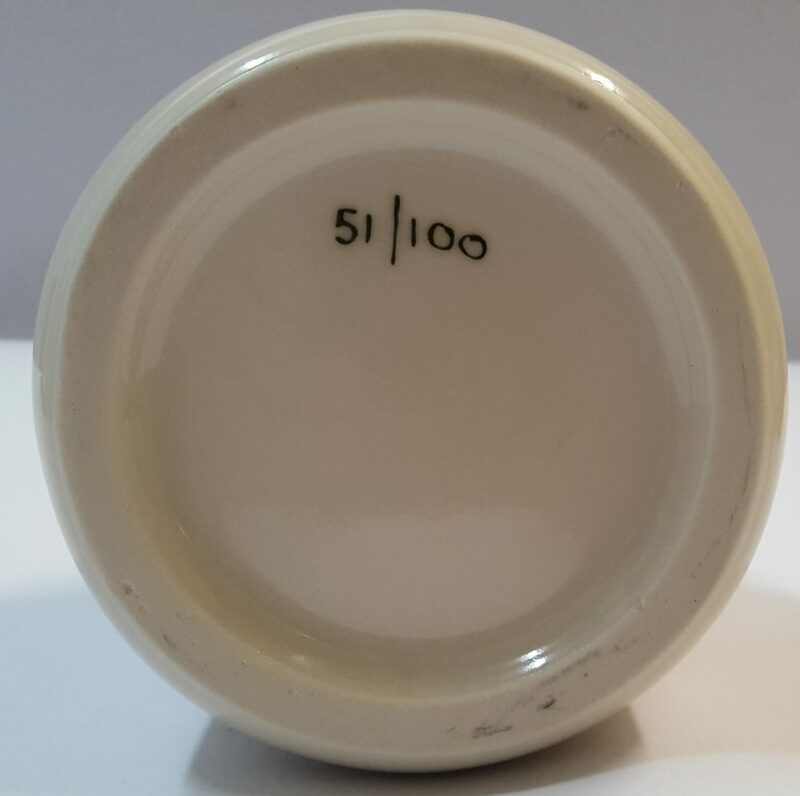 Colour may vary slightly than depicted. 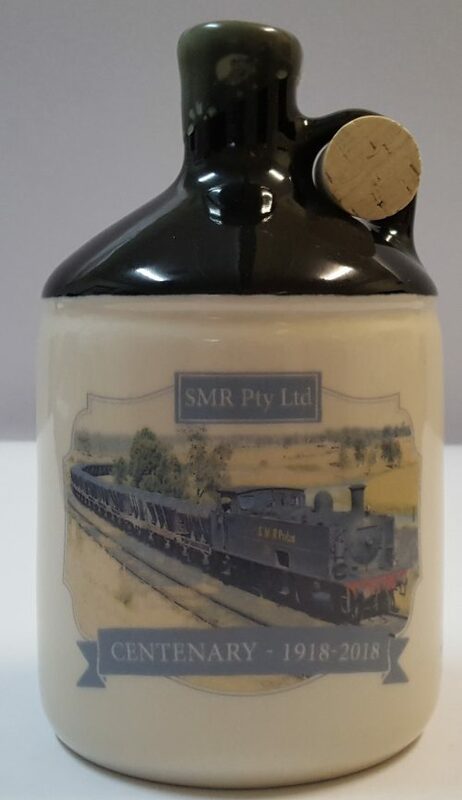 Please note: port crocks No.1, No.9, No.10 & No.18 have been withheld from sale. To avoid postage and handling fees, arrangements can be made to pick-up your order from our office at 6 Junction Street, Telarah between 9:30am and 2:30pm. 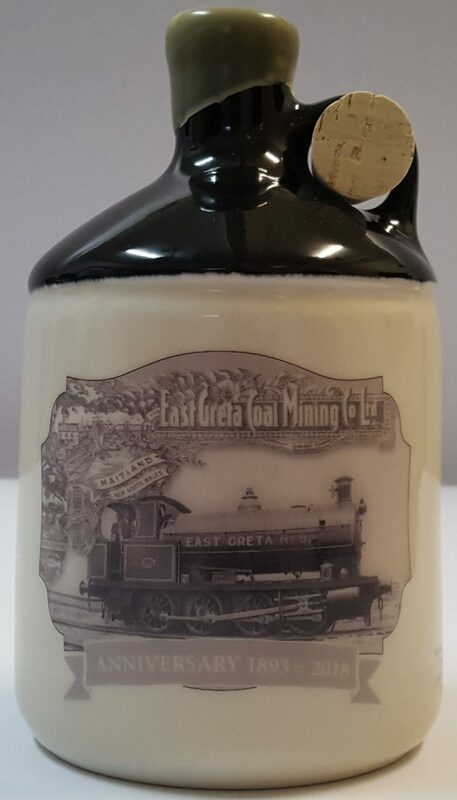 The East Greta Coal Mining Co. Locomotive No.9.